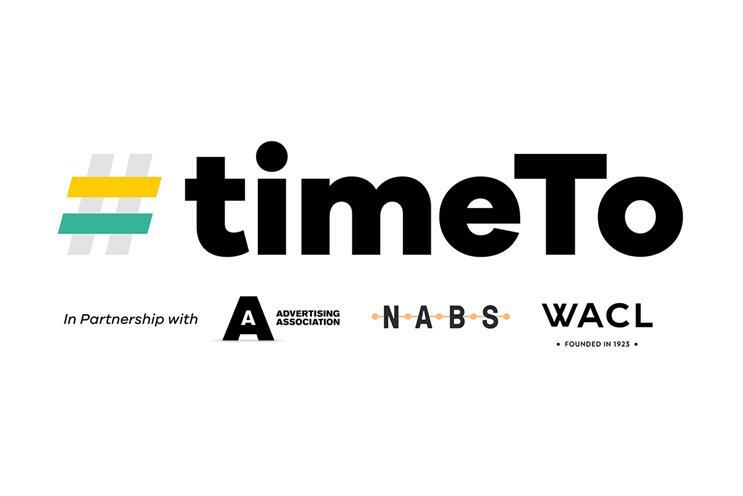 The Advertising Association, Nabs and Wacl have joined forces to launch a new initiative called timeTo to address the problems of sexual harassment in the advertising industry. Other industry bodies and companies will be invited to join the timeTo initiative and the IPA and ISBA have already pledged their support. The advertising industry has a well-documented problem with sexual harassment, according to Cindy Gallop. She believes the single biggest business issue facing the industry today is not diversity; it is sexual harassment. This, she said, "prevents gender equality and inclusion from ever happening, by keeping out of leadership and power the leaders who would make equality, diversity and inclusion happen." Stephen Woodford, the chief executive of the Advertising Association, said: "Our industry, like many others in the UK and around the world, is going through a critical reset in terms of behaviour change. The Advertising Association exists to promote the role, rights and responsibilities of advertising and timeTo is about being clear about the behaviour standard expected of all people who work in advertising. "This must happen to ensure our industry, which reflects and shapes the world around us, continues to be an economic and social force for good in the years ahead." The first timeTo act will be an industry-wide study led by Karen Fraser at advertising think tank Credos. According to the Advertising Association the study aims to "establish the current level of sexual harassment across the industry and provide data for future tracking of change." Participating organisations will invite people to respond through email links, thus ensuring that the sample represents people currently working in the industry. It will go live today (12 March). Longer term, culture change will be addressed through training programmes for both joiners and existing advertising and marketing personnel, as well as other forms of communication. Diana Tickell, the chief executive of Nabs, said: "This is an important partnership as we all believe no one should have to experience sexual harassment, anytime or anywhere. If you or someone you know needs someone to talk to, contact Nabs who can offer confidential advice and support on 0800 707 6607 or support@nabs.org.uk." Tess Alps, the chair of Thinkbox, is chairing the timeTo steering group and members include Helen Calcraft, the founder and CEO of Lucky Generals, and Lorraine Jennings, director of services and talent for Nabs. According to Alps the entire purpose of timeTo is to change the industry going forward. She explained: "We’ve sat on panels, we’ve debated, we’ve listened, but now it’s time to take action. The exact plans will be shaped by what the research uncovers, but we are committed to publishing within the first six months a code of behaviour that we will be urging all companies to adopt in their policies and process." While some companies are reportedly well-advanced in tackling sexual harassment, many others have yet to explicitly address the problems in their company policies and process. In the UK, both Wieden & Kennedy and AKQA have had high-profile departures. However, neither agency has publicly addressed the issue in the media or in internal all-staff meetings. According to Alps, while many companies believe they have covered this issue off, it is often under the umbrella of a general bullying and abuse policy. She added: "We believe it needs to be addressed very specifically and explicitly." She also emphasised that this initiative is not just for women but for anyone who has been a victim of sexual harassment within the industry. Adding that while they expect the research to show the extent to which women have been affected, she said: "Anecdotally, we do also know of men who have been harassed and sometimes, though admittedly rarely, by a woman." The initiative comes amid a mounting drive for action in the ad industry and in the wake of a number of senior industry figures being publicly called out on the Instagram account Diet Madison Avenue. The account, which is run by an anonymous collective, has preempted a number of senior departures. Meanwhile, on the employee networking app Fishbowl, employees of a number of UK ad agencies have expressed frustration with how their companies are communicating and addressing sexual harassment issues. However, Kerry Glazer, the president of Wacl and chief executive of the AAR, said: "This initiative is not about naming and shaming; it’s about making sure that everyone in the industry is aware that any unwanted conduct of a sexual nature that makes a person, male or female, feel uncomfortable, offended, intimidated, or degraded is entirely unacceptable. No excuses." After Cindy Gallop sent out a call to the advertising industry to come forward with their personal stories of sexual harassment, she recieved a deluge of emails. She explained: "What I am hearing time and time again in the emails I'm getting is: 'I want to speak up. I've had enough. I hate that I am prevented from doing so by fear/potential unemployability/the NDA I signed.' I'm not hearing from the women who are feeling pressured to share publicly. I'm hearing from women and men who are contacting me because they really want to speak up but feel they can't." This fear has been evident in women who have shared their own stories of sexual harassment with Campaign, but not before asking reporters to sign an NDA to ensure they remain anonymous. Speaking at the Omniwomen UK leadership summit last week Tiffany Warren, the chief diversity officer for Omnicom Group, pledged to support those who have been impacted by those incidents. Asked whether women at Omnicom would be legally protected if they spoke up about incidents of harassment despite having signed NDAs, Warren said it was not her place to answer that. Reports of harassment go through the HR and legal departments, she explained. According to Alps, setting up a legal defence fund as in the Time’s Up initiative is "not part of our discussions". She added: "Anyone who approaches the timeTo team with serious issues will be directed to the Nabs advice line team, who will be there to offer confidential support and guidance tailored to their individual, personal circumstances. Should they require further legal advice or psychological support, Nabs will direct them to the right person. The industry needs to ensure Nabs continues to be funded adequately so they can advise and support those who need them. "Clearly, the big challenge is changing culture in the industry and this will take years," Alps continued. Yet this industry-wide taskforce is committed to making that change. She added: "Some of the ways we have already discussed include an online training module that management will require every member of staff to undertake, training events and various ‘persuasive’ communications. This might even include some advertising." Sam Kelly, managing director AKQA has said the issue of sexual harassment was personally addressed by him on multiple all staff emails along with at three all staff internal meetings.